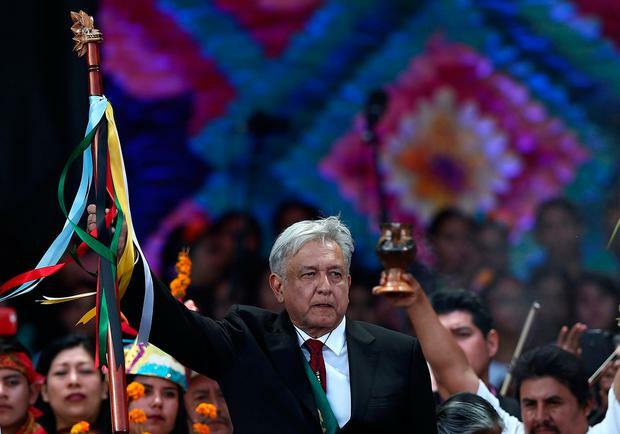 Leftist politician Andres Manuel Lopez Obrador has assumed Mexico's presidency with a promise to profoundly transform Latin America's second-biggest economy and to lead a government free of corruption. 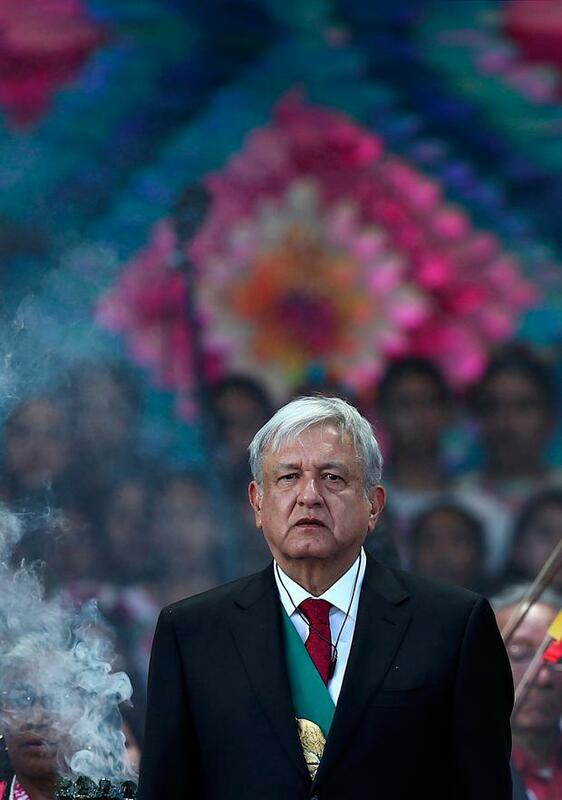 Seemingly tireless at the age of 65, Mr Lopez Obrador breezed through a day of public appearances that included taking the oath of office and speaking to congress and attending an inaugural celebration at Mexico City's vast main square. "We are going to govern for everyone, but we are going to give preference to the most impoverished and vulnerable," Mr Lopez Obrador said. "For the good of all, the poor come first." Speaking in a personal style he honed over decades of small-town rallies, he told the crowd: "Be patient and have confidence in me." "The country is completely divided," said Valeria Moy, director of the Mexico, Como Vamos? think tank. Ms Moy said she had expected a more conciliatory tone from the president, who instead blamed many of Mexico's ills on decades of neoliberal policies that opened the country to greater trade and foreign investment. After decades with a closed, state-dominated economy, Mexico's governments since 1986 had signed more free trade agreements than almost any other nation and privatised every corner of the economy except oil and electricity. "I don't expect him to change everything in two months, or even in six years, but if the violence comes down then good things will happen," said Amira Rozenbaum, who is optimistic for change. He also promised to restore the energy sector to prominence and bring up Mexico's oil production from its current 25-year lows. Mr Lopez Obrador began his political career leading demonstrations against oil pollution in his native state of Tabasco, and he is the country's first president since the Mexican Revolution to rise to prominence as a protest leader. Combined with a deep sense of nationalism and his own place in history, he envisions his administration creating a historic "fourth transformation" of Mexico, following independence from Spain, the liberal reforms that broke the church's dominance in the 1850s and the 1910-1917 revolution. 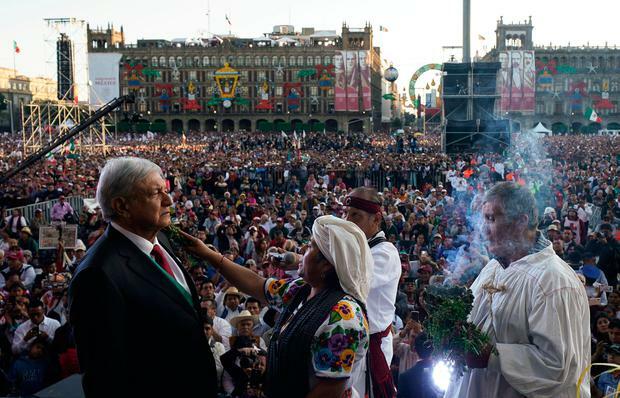 Mr Lopez Obrador's many devotees express an unflinching faith in him. They call themselves AMLOvers and break into chants of: "It's an honour to be with Lopez Obrador." "We love him because he's honest. He's hard-working. He has never let us down," she said. "He's not corruptible." 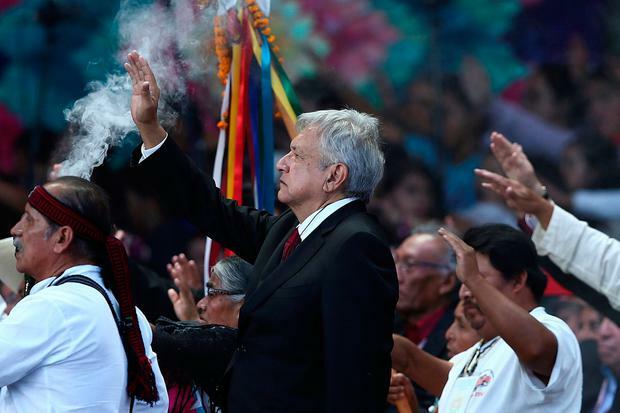 Mr Lopez Obrador has pledged to end centuries of poverty and marginalisation for Mexico's more than 70 indigenous communities, and he became the first president to take part in a ceremonial inauguration by indigenous groups. 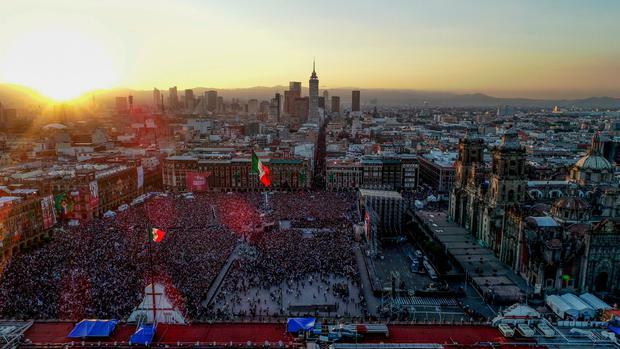 "What we want, what we desire is to purify public life in Mexico," Mr Lopez Obrador said during the ceremony. "I repeat my commitment: I will not lie, I will not steal or betray the people of Mexico." Mexico's richest man, telecom magnate Carlos Slim, whose companies were major investors in the cancelled airport project, said there is common ground with Mr Lopez Obrador's promises to rein in wasteful spending and corruption. "Everybody wants spending to be efficiently managed," Mr Slim said.